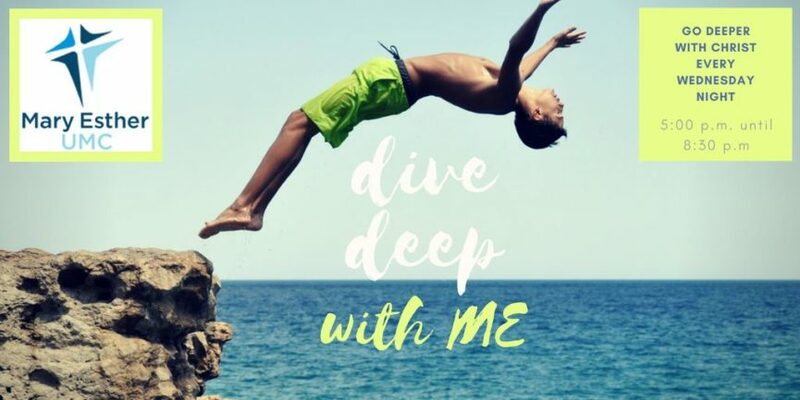 Dive Deep with ME is our Weekly Wednesday Fellowship gatherings. 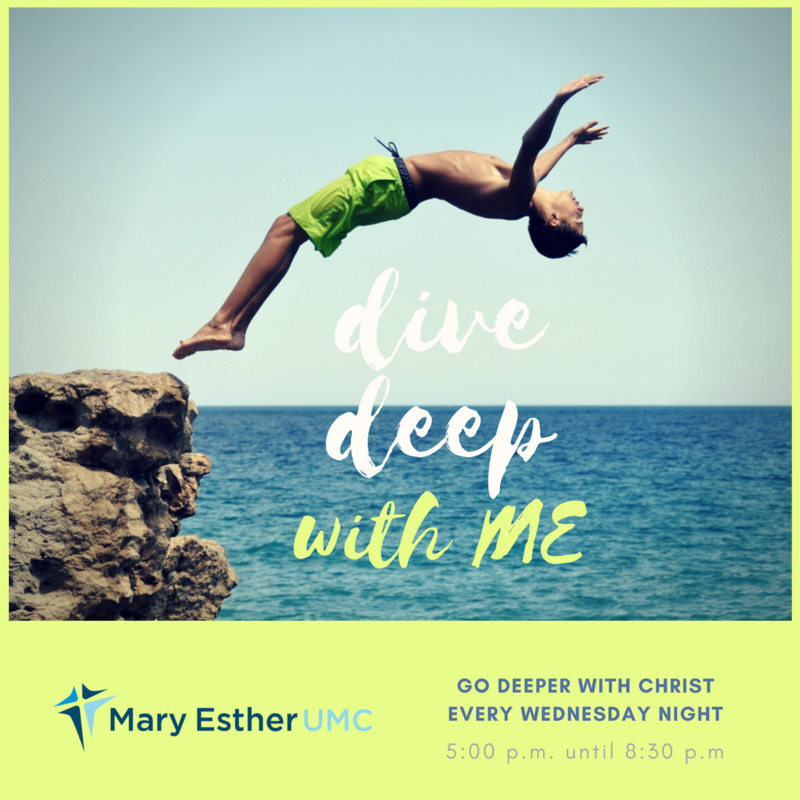 Dive deeper with Christ at every age and stage, from 6:00 p.m. to 7:00 p.m. Thank you for helping us FEAST together on a meal before our deep dive with Christ! Please do not sign up for the same position MORE THAN ONCE per month! Let’s spread the love around.